Life and death – is the only Universal truth. Losing someone near and dearly is beyond an unbelievable experience. However, we must gather our strengths to commemorate the new journey of a soul towards heaven with nothing but love, prayers, and flowers. 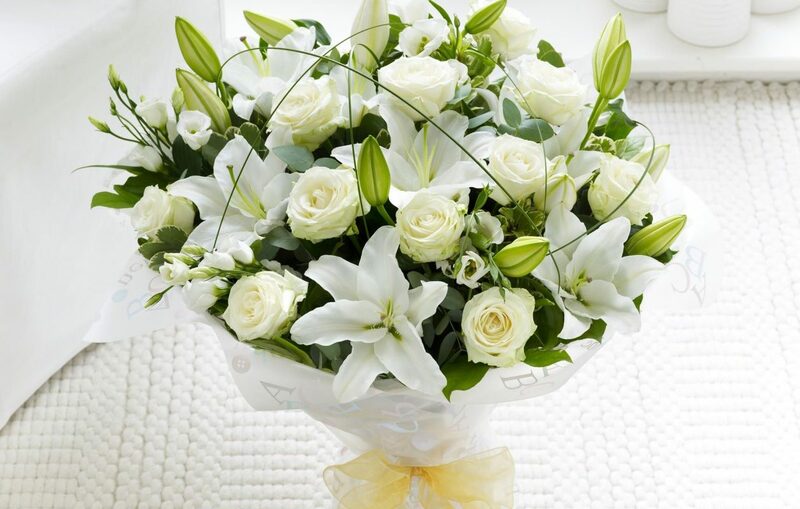 Funeral & sympathy flowers not only spread a sense of peace and tranquility but also provide comfort to the ones who’ve lost someone in his / her life. Flowers are emotional symbols. They not only denote a celebratory rhetoric and event but also help individuals, group and families during a difficult period. 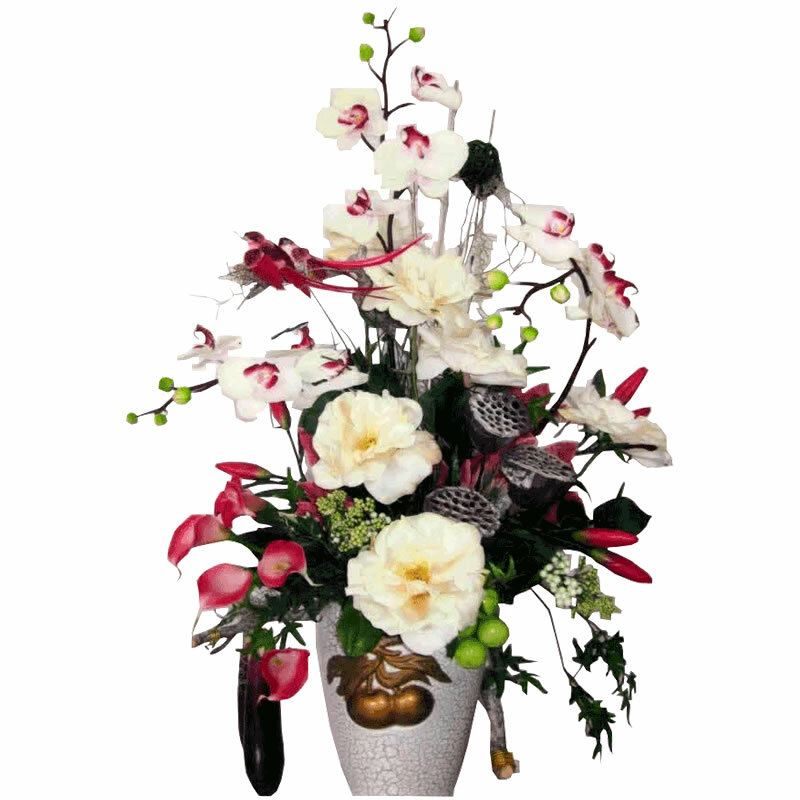 Funeral & sympathy flowers are distinctive floral arrangements. They are more formal and larger. They are inclusive of wreaths, crosses, casket flowers and standing sprays. The floral arrangements act as a tribute to the deceased. They are used as an element of respect to not only the lost soul but also his / her family and friends. We make unique funeral & sympathy flowers and their arrangements keeping the emotion intact. 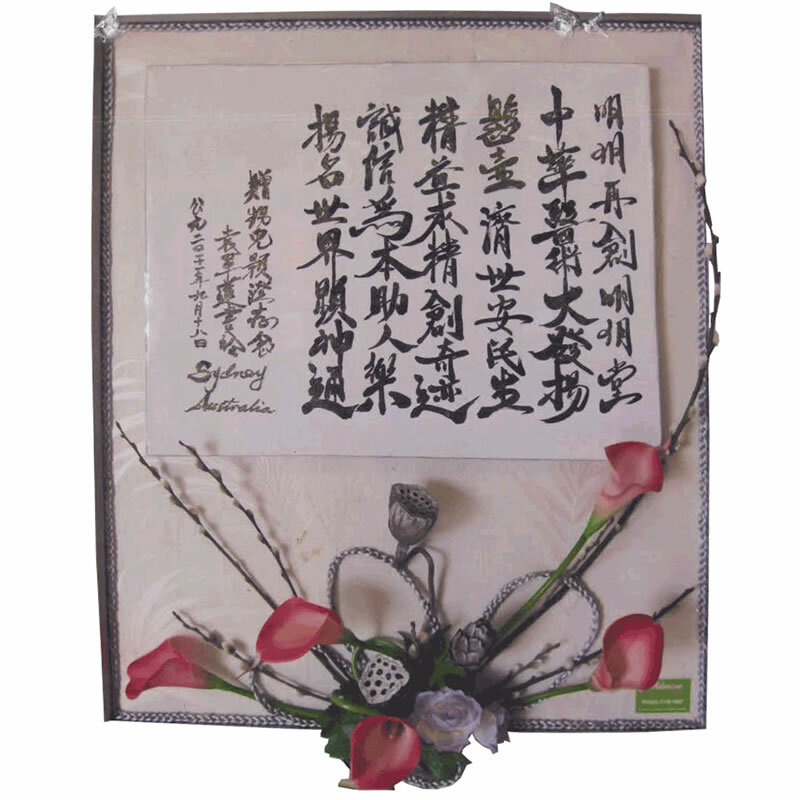 Express your feeling with unique Chinese Calligraphy Art together with flower arrangement, especially to someone that has Chinese background, You will get Chinese Calligraphy Art done for free if you order funeral floral arrangements from us. You can choose from small to large sized floral arrangements, along with flowering plants, greens, and sympathy tokens. These are nothing but a sign of love and support to the concerning family of the deceased. The traditional flower for compassion and funeral is gladioli, but you can find other varieties for such events. You can choose from amongst flowers based on the deceased love for flowers, his / her favourite color, likes or dislikes, when selecting funeral & sympathy flowers. Selecting an appropriate flower arrangement is crucial for funerals. It acts as a source of communication to grieving family and friends. Thus, it is important to choose funeral & sympathy flowers that display your sense of compassion, support, love, and comfort. And with our free Chinese Calligraphy Art work, you can make your gesture more unique and extraordinary. We know how important it is to send appropriate floral arrangements and flowers for funerals. And we provide all the help, advice and tips to the purchaser to make the right choice and pay his / her tribute and respect in the right way. You can also select flowers to be delivered to someone who has lost a loved person at his / her workplace, home or even to business associates. Wherever you need the delivery done, our experts will make sure to complete the process and assist you in expressing your compassion and gratitude to the concerning person or family of the deceased. Funeral & sympathy flowers add beauty, decoration, and love to a grim event. They symbolise sympathy, love, empathy, immortality, and compassion. These flowers play a vital role during customs and rituals in funerals. And we can help you fulfil all obligations during such an event. Our funeral floral arrangements are custom-made. They are tailored as per customer requirements. You can choose from an array of regular funeral flowers to seasonal floral arrangements to mark the day of grieving and bringing peace to the environment. Log onto our website to select from an array of option and place your order. This entry was posted in Flowers by Occation and tagged funeral sympathy flowers.